Summer's finally beginning to show it's face and to me, that means any excuse for big bbq's with friends and family. These are the perfect thing to throw on the bbq and take minutes to prepare and cook. 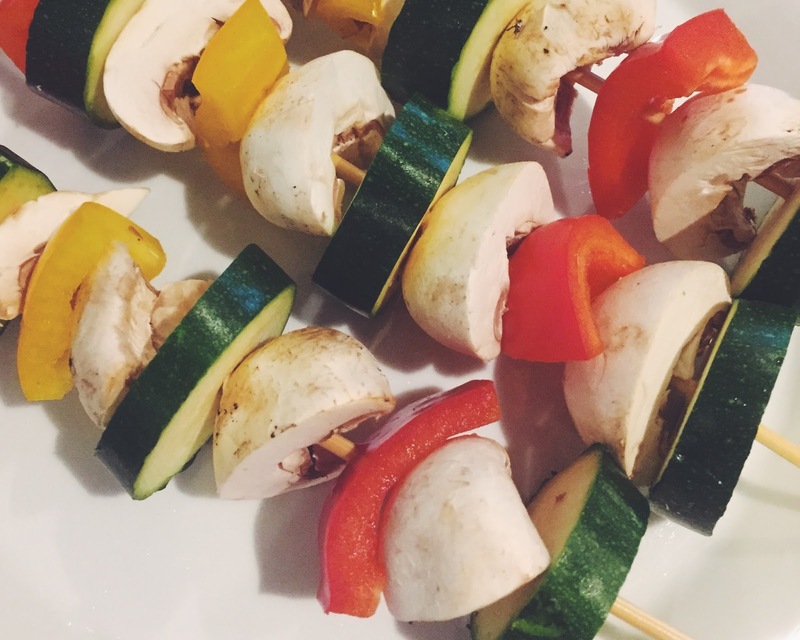 Whilst chopping up all the fresh veggies you will need soak the wooden skewers in some water, this will prevent the skewers from burning on the bbq or under the grill. Before cooking, lightly brush all sides of the veggies with some sunflower oil but not too much or everything will go soggy and oily. These only need a few minutes to cook and they will need turning a few times to make sure all sides are cooked. Serve up with some summer salads or bbq meat.